Deputy Sheriff Thomas Meehan was shot and killed while on duty. His body was located on the old Valley Highway with a gunshot wound to the head and a wound caused by a blunt object to the back of his head. It is believed that he was murdered elsewhere and that the suspect(s) transported his body to the location where it was found. 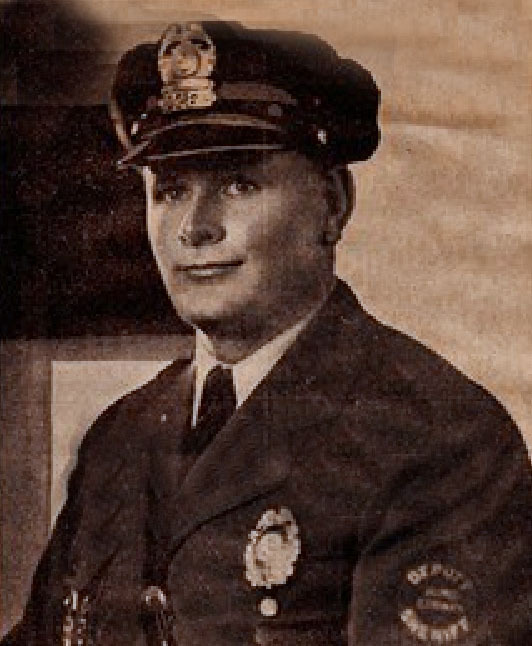 On December 25, 1935, Policeman Thomas O'Neil, of the Butte, Montana, Police Department, was shot and killed while responding to a disturbance. The suspect in Policeman O'Neils' death was also suspected of being involved in Deputy Meehan's murder. After murdering Policeman O'Neil, the suspect fled to an acquaintance's house where he held several people hostage. One of the hostages was able to escape and alert authorities. During the standoff the suspect admitted to the hostages that he had murdered both officers and two other citizens. The suspect was shot and killed in a shootout with officers a short time later. Deputy Meehan had previously served with the United States Army during World War I. He is buried in Enumclaw Evergreen Memorial Cemetery in Enumclaw, Washington.